The Kinektek range of kiosks are designed for Business 2 Business (B2B) applications, where functionality and branding can be further customised by the end client. 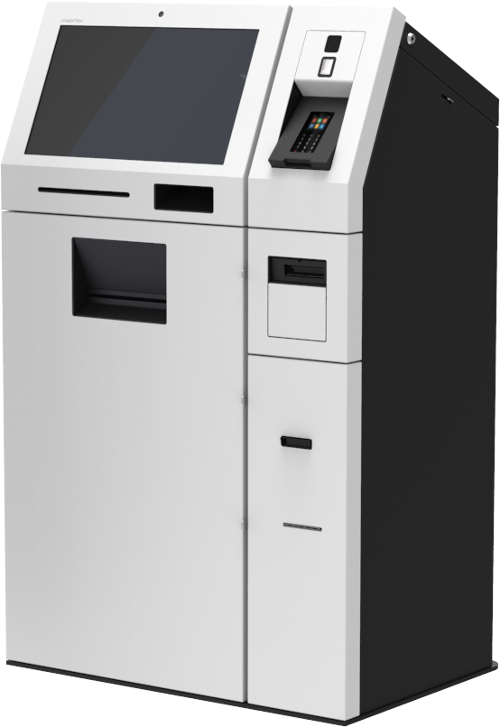 Depending on the kiosk, the design includes the following technologies: cash management, biometric logging, card acceptance, identification scanning, physical receipting, and remote locking. The slimline kiosk above is designed for environments where retail space is at a premium, and swift financial transactions and user interactions are required. The secure kiosk below complies with the Americans with Disabilities Act (ADA) regulation, and allows for both standing and wheelchair operation. For both kiosks, the design caters for changing technological trajectories and for retrofitting new functionality.